Perhaps one of the most obvious political questions is the ethical one: what actions are allowable within a politics? This is not a question of ethics as a discipline separate from politics, but rather a question of what it is specifically about a political situation that gives cause to perform certain actions. Our focus here is on theories that limit themselves to plural democracy and that propose plural democracy as the only true politics. Thus, their question has been redirected to politics itself: what is the structure of politics and how does that structure govern what political actors can justifiably do (within a democratic politics)? Framed in this way, politics is a realm that stands on its own with principles particular to it. Objective standards exterior to politics cannot be used for judgement, according to these theorists, and thus the political realm has a particular ethics of action, an ethics immanent to politics. In examining various theories we can compare differing structures proposed of (democratic) politics and examine the ethical implications that arise. 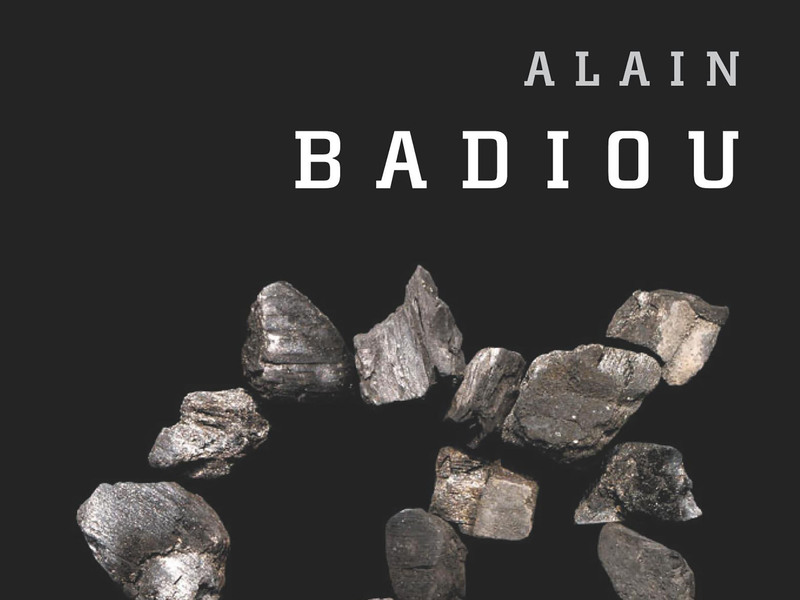 Our emphasis in doing so will be on Alain Badiou. His understanding of politics, structuring it around ‘the event’, gives us a theory in which a ‘political sequence’–the collection of all actions connected to a political movement– cannot be judged by any objective standard, or any thought that comes from outside that particular sequence itself. In doing so, Badiou argues for a theory in which (democratic) politics has access to an unlimited range of possible actions that support the event. In fact, Badiou may even go so far as to reject the way I use the language of ethics. This thought is exemplified in his defense of Saint-Just and the Terror. However, to develop a robust and detailed understanding of the structure of politics that implies a political ethics, we must examine Bonnie Honig’s concept of the paradox of politics and Ernesto Laclau and Chantal Mouffe’s work on hegemony. These two theories, though ostensibly opposed to one another, both think of politics as structured by a paradox that prescribes a limited range of possible actions for the political subjects. Thus, they develop a political ethics that arises only from politics and its structure, avoiding the sorts of objective standards that Badiou rejects. We can see that these conceptions are in fact compatible with Badiou’s, that we can describe the same structure with Badiou’s own terms. In other words, Badiou defines politics as a-historical, a-temporal, and entirely subjective, and Hong and Laclau and Mouffe’s work can also be thought in those terms. In this way, we can use the paradox of politics and hegemony as critiques on Badiou showing that in failing to account for these paradoxical conceptions, he mistakenly avoids ethical issues and incoherently defends the Terror. In the end, we must condemn Saint-Just. We begin with Hegemony and Socialist Strategy, Ernesto Laclau and Chantal Mouffe’s conception of ‘hegemony’ and the way it structures politics. Hegemony, for them, “alludes to an absent totality, and to the diverse attempts at recomposition and rearticulation which, in overcoming this original absence, made it possible for struggles to be given a meaning and for historical forces to be endowed with a full positivity” (Laclau 7). The totality of a complete and whole social body in which every individual is defined by a single identity does not exist, thus allowing the space for various identities to take hold, given meaning in their attempt to capture that totality. A totality would then be a society in which only one notion of the political subject–a single identity–determines each and every individual. It would be a State of pure-bred Germans, or a Queer State, or perhaps a society of single-minded, profit driven capitalists. We can see that this theory of politics is focused on large collections of individuals defining themselves, or what Laclau and Mouffe call the ‘social field’. These individuals are fragmented into various social identities which politics, through hegemonic acts, attempts to reconcile by creating one totalized identity. The State is then the body that unifies and totalizes, and the political sphere itself is the potential totality, or that which can be totalized. However, to be a unified and whole totality in this way is actually anti-democratic. Democracy is found in the existence of differing identities that can interact within one social field. Totalization forbids that possibility and ends the space in which democracy can exist. In other words, Laclau and Mouffe argue for a pluralist politics whose most important aspect is the acceptance of various conceptions of self. This claim is obviously opposed to any “pure bred” kind of imperialist thought aimed at the glorification of one particular people, but it also opposes the extension of any social identification to the globe, as there must always the possibility for individuals to develop alternatives. This fact becomes more clear with the concepts of articulation and antagonism. In the first place, the identities that are subsequently hegemonized are created through acts of articulation. They are neither natural nor pre-existing, but rather something created entirely within the politics. “[I]t is an articulatory practice which constitutes and organizes social relations” (96). Articulation constitutes the identities whose relation to each other defines the social field. As such, social identities cannot have an objective bearing nor any predisposition to exist: only through the concrete articulatory processes performed by individuals do any identities come into being. They are the creations of a political process. The proletariat must be built; queer and race politics begin only when individuals articulate those identities. No social group pre-exists the political. These articulations can then conflict with one another in an antagonistic fashion. The creation of identities in this way may lead to incompatibilities within two articulations. The ensuing political battle between them must then be resolved by the individuals, with one identity giving to the other in the end. “[I]n the case of antagonism, we are confronted with a different situation: the presence of the ‘Other’ prevents me from being totally myself. The relation arises not from full totalities, but from the impossibility of their constitution” (125). The problem here is prior to any issues of totalization, instead residing in the fact that one articulation is inhibiting another. Politics exists in these spaces: “it is because a peasant cannot be a peasant that an antagonism exists with the landowner expelling him from his land” (125). Thus we can see hegemony’s specific character. First, it is contingent. Hegemony is a collection of antagonistic acts that have no external or objective standard, and therefore no necessary character to their existence. Politics exists because the contingency of any articulation can conflict with another. As a result of this contingency, the articulations involved cannot simply be given totalities. If this were true, articulation would not be necessary and the social field would be determined from outside of politics (by, for instance, what ‘natural’ social identities exist). The space of politics is therefore marked by ‘unfixity’. “If we accept, on the contrary, that a discursive totality never exists in the form of a simply given and delimited positivity, the relational logic will be incomplete and pierced by contingency” (110). The totality and unity of the social field towards which politics reaches must also be unfixed and contingent as well. The subject faces a binary opposition between the need to fill the gap of the social and the necessity of keeping it open in order to protect the possibility of hegemony. Each individual faces this paradox in which she must be responsive to opposing directives, one of which defines politics while the other defines its possibility. Politics consists in navigating this need to close the social field into a totality and the utter impossibility of ever doing so. “Every radical democratic politics should avoid the two extremes,” of successful hegemonizing and not hegemonizing at all (190). In Emergency Politics, Bonnie Honig further specifies this structure of politics by positing a circular conception of politics as paradox, moving past Laclau and Mouffe’s binary understanding. Instead of defining politics in terms of two opposing imperatives, Honig explains it in terms of two always existing and mutually arising terms. As such, she centers her work around the stepping back Laclau and Mouffe theorized with the war of position, making explicit and integral the need to consider the paradox as whole that must remain intact. Honig measures various attempts to resolve the paradox and judges them failed. She begins with Rousseau’s foundational paradox of a democratic state and claims, with each paradox in turn, that only understandings that accept the entirety of the circular paradox can stand. This implies an ethics in which political subjects must stay with this circle, neither giving preference to any side of the paradox nor going to any extremes that may dissolve the politics structured by it. The most important method Honig uses is to frame the temporality of the paradox. Many thinkers criticized by Honig use time to ‘solve’ the paradox, claiming that while either the past or the future may have this shape, the present is unproblematic. The touchstone here is Rousseau’s theory: a good people, he says, is needed to make a good law while at the same time that law is necessary to make a people into a good people. Or, the ‘general will’ of pure public interest that a good people has needs law for it to be formed out of the collection of private interests summed up in the ‘will of all’ that reflects a mere multitude of people. Honig is found of this circular conception, but refutes Rousseau’s chosen solution. He posits a ‘lawgiver’ who prescribes the good law and in that way resolves the paradox, giving a simple response and shape to the impasse. For Honig, however, this method traps the paradox in the past and posits the present as un-paradoxical. “By confining the chicken-and-egg problem to the founding period, Rousseau seeks to prevent it and the unwilled violence that resolves it (personified by the lawgiver) from spilling over into politics more generally” (Honig 14). The problem is that this paradox is inherent in the very structure of democratic politics: it is not an unfortunate problem that must be relegated to the past and its lawgiver, nor the future as Habermas attempts. It is integral to the structure of all (democratic) politics and therefore a fact of the present. To ‘solve’ the paradox, for Honig, is to forget what it is to be a democratic theorist. This claim contains a positive obverse: the paradox is not necessarily problematic. “If the paradox of politics is real and enduring, then a democratic politics would do well to replace its faith in a pure general will an acceptance of its impurity and embrace the perpetuity of political contestation made necessary by that impurity” (38). In embracing the impurity (between will of all and general will, say), we can tap the paradox’s generative potential and posit a beneficial, plural politics. “Here, we get neither deliberation nor decision as such; we get a politics, in which plural and contending parties make claims in the name of public goods and seek support from various constituencies and wherein the legitimacy of outcomes is always contestable” (37). These contestable outcomes are the space in which democratic politics thrives. Thus we arrive at Honig’s central claim: the social field is always both people and multitude, always both general will and will of all. The paradox that necessitates the impurity (as she called it earlier) is the structure of (democratic) politics as such. The space of contestation is Honig’s pluralist claim that Laclau and Mouffe made by necessitating the always-open social field. A politics must account for the fact that there will always be both people and multitude and therefore avoid the pure decision of the authoritarian and mythical pure deliberation of a complete people. To allude to a conclusion we shall reach and to use a hybrid terminology: the multitude can never be entirely unified into a totalized people and yet they must always be partially unified. Honig makes this claim in circular terms by arguing that the people and the multitude both rest on each other, stem from each other, and are necessary for each other. They are inseparable and unresolvable, intricately connected in such a way that (democratic) politics itself is built upon this structure. In contrast, Honig claims “[w]ith their conflicting principles […] or incommensurable ‘logics’ […], binary paradoxes shuttle use back and forth between decision and deliberation” (37). That is, a theory such as Laclau and Mouffe’s, positing opposing imperatives, forces subjects to variously choose between the authoritarian unity of a decision and the pure mythical democracy of deliberation in a way that Honig believes misses the structural necessity of the paradox as a whole. She claims that her circular conception recognizes the integral nature of both sides of the paradox and avoids the misguided characterizations that arise in a binary theory. “Political events and dramas exceed such hypostatized categorizations, however. Politics occurs in the spaces between them” (37). The circular paradox accepts the both of Laclau of Mouffe’s imperatives and the ensuing lack of “incommensurability” allows Honig to posit the paradox of politics as a generative structure. What Honig misses, however, is the effect of Laclau and Mouffe calling on Gramsci via the war of position. In recognizing the impossibility of actually totalizing the social field, they conclude, with Honig, that the paradoxical relation is integral to (democratic) politics, that it structures that politics as such as is the reason that plural democracy is possible. Laclau and Mouffe again side with Honig in claiming that the paradox must be protected and ensured in its entirety. While Laclau and Mouffe would say that both imperatives must be respected and Honig would say the circle cannot be cut, they are merely arguing the same point in different terms: the paradox structures politics. It is a fact of the present that cannot be relegated to a different time, nor handed to a lawgiver, but is in fact a benefit that allows for the very possibility of plural democracy. The paradox of politics is compatible with hegemony–the differences between these two theories do not manifest themselves at the level of structure, or the ethical implications that arise therefrom. Thus, they can be combined into a single understanding of politics-as-paradox. The structure of the political sphere gives a shape to politics and political action that prescribes an ethics. This is the ethical dimension of the sphere of politics. In defining (democratic) politics with paradoxical relations that must be maintained, Laclau and Mouffe and Honig place an inherent ethical limit upon political subjects.To act within this given sphere of politics is to act in a (politcally) ethical way. The actions of political subjects must abide by the given structure of politics in order to ensure the existence of that politics. On the other hand, to ignore this structure and act outside of it would collapse politics in on itself. Thus, the paradoxical double relation faced by every individual implies an ethics within the very structure of the political sphere. More concretely, the actions in question pertain to everything from political activism to social organizing to government bureaucrats. A man on the front lines of a strike, attempting to organize a call center against the injustices done by its owners consciously unifies the workers into a social group. He creates the identity ‘worker’ which the individual employees then identify with. Growing the movement into a general strike would require further articulating, as Laclau and Mouffe would phrase it, that identity to other individuals. But our organizer must be conscious to not actually totalize the social field: a nation of pure workers leaves no room for gender, race, or sexual politics. The social would be closed and (democratic) politics would be impossible. On the other hand, if the identity of the worker were not unifying at all, there would be no political action whatsoever and the call center owners would simply rule at their leisure. The social would once again be closed–or perhaps never opened–and the political sphere would not exist. Honig uses Louis Post to make the same point. As Assistant Secretary of Labor during the First Red Scare, Post was charged with the deportations of suspected anarchists and communists (see Honig, chapter 3). With this post, Post found himself in the position to use his power to stop the majority of the deportations. Post rightly saw that deporting individuals for mere political sympathies was antithetical to any democracy and so used the discretionary powers available to a man in his position to allow the would-be-deportees to stay. To do so, however, Post vastly increased the power of decision in his bureaucratic position, and therefore acted against the pure spirit of democracy, but did so in order to limit the deportations to those that would stand in a criminal court (which was not the case before he took action). Thus, Post used discretionary power in excess of the law to adhere to the goal of the law. “He understood the power and powerlessness of law. He knew that law cannot be pressed into new directions unless claims, even–or especially–illicit ones, are made in its name and using its terms” (79). That is, Post was responding to both the people and the multitude inherent in politics. The daily workings of a bureaucrat must respond to the entirety of the paradox of politics. In other words, Post and our organizer act in the politically ethical way by ensuring the integrity of the paradox of politics itself. In being responsive to the double imperative of this paradox, they have recognized the ethical restraints determined by the very structure of politics. To stray too far toward either decision or law, totality or absence would be to cut Honig’s circle, unbalance Laclau and Mouffe’s antagonism, and destroy the very possibility of a (democratic) politics. The only political ethical actions are thus those which abide by this paradox and limit themselves to the actions within the political sphere it creates. Importantly, the ethical prescriptions given by these theories are based only on politics itself. The kind of politics sought–plural democracy–is what structures politics and limits the actions of its subjects. There are not external or objective standards judging the ethics of political action–these judgments come from within politics. In fact, they arise from the nature of politics itself, from its very structure. The ethical limits, then, are merely the conclusion of the foundational logic that begins a politics. Looking forward and translating this idea into terms Badiou would find acceptable, we can say that the ethical prescriptions of Honig and Laclau and Mouffe are based on nothing other than the foundational axiom which was adopted at the outset of a politics. Thus, as we will see, Badiou must consider this kind of immanent ethics as well. Alain Badiou’s understanding of politics begins with the event. The simple state of being–or the state of the situation as characterized by the State–is the background against which politics emerges. An event occurs, rupturing the State and opening up the space in which a political sequence takes place. The State, for Badiou, is a power that keeps politics from erupting, that holds still political life. The event is the happening, the concrete moment in which the status quo is broken and individuals can take political action within a situation. “The infinity of the state of the situation,” the power of the State, “which is summoned by repression and alienation […], supposedly controls all the collectives or subsets of the situation” (Badiou 2005, 147). But in the event, the situation takes hold, making itself known and, through a measurement of State power, makes politics possible. Badiou describes this in terms of two infinities: that of the State, originally unmeasurable in its excess of the power of the evental situation, and that of the situation itself that measures the State and opens the possibility of politics in which the State can be threatened. Within this understanding, then, the event is a rupture in the State that gives a definite character to a politics and begins a political procedure. “[W]e must maintain,” says Badiou, “that the inception of politics–of its statements, prescriptions, judgements and practices–is always located in the absolute singularity of an event” (23). This sequence, furthermore, can be understood as a truth procedure. That is, politics, beginning with the event, creates truths that the subjects of that Event can grasp onto. “For me, a singularity is a truth, or more precisely a truth procedure” (52). The political event, as a singularity, is an event that holds for those who experience it, and in doing so creates a truth through the sequence which follows the event and which those subjects can then know. “One will then seize this singularity in toto _as truth (and as the manifestation of a singular eventality)” which can then be thought as a politics. The sequence becomes its own truth. This process creates truths _within politics itself. Thus there is no objective standard for truth–only subjective and internal standards. Politics creates truth, for Badiou, and therefore exists, as a singularity, solely on its own terms. This gives rise to Badiou’s sole ethical prescription within the political realm: fidelity. As it is the event that gives rise to any truths, and only as a subject of the event that one can know those truths, Badiou claims that all political actors must maintain a fidelity to the event. Political subjects must always remain faithful to the truth of a political sequence and must act as a part of it, or in reverence to it. As the foundation of any politics, the truth of a singularity must direct them in any political endeavor. The sole political imperative is then to dedicate oneself to the event’s truth, to maintain and protect that truth. Fidelity is a recognition of one’s tie to the political sequence and the event that founded it. So when Badiou says “the point from which a politics can be thought–which permits, even after the event, the seizure of its truth–is that of its actors, and not its spectators” (23), Badiou means to say that political actors, and only actors within (a) politics, have access to a truth. This access can only be ensured through fidelity. This takes place not only during the event, but after it as well. The ‘post-evental’ fidelity is a continuation of the fidelity of the actors in the sequence. It is important to note that the truth of a politics is a direct outcome of the axiom in which the event finds its basis. An egalitarian or emancipatory politics centers on an axiom of equality that is not the end, but the beginning of that politics. “It is a political maxim, a prescription” (98). The political sequence traces out the effects of this inaugural prescription, and it is the sequence of this tracing that one must remain faithful to it. One owes fidelity to the truth of the event which stems from this axiom and which is based entirely upon this axiom. “For it is always in subjectivity […] that the egalitarian edict interrupting and overturning the usual course of conservative politics is uttered” (105). Only the subjects of an event, in declaring the axiom, can begin the truth procedure. Fidelity is thus owed to that axiom above all. In addition to limiting acceptable axioms to those that are universalizable, this statement implies that a political sequence should reach to all and make attempts at fulfilling its ‘virtual’ universality. The further ethical implications of this universalizability is a space of political action which is itself universal. What is justified is whatever actions protect and continue the political sequence. No action that serves the event in this capacity can be condemned, as demonstrated in Badiou’s defense of Saint-Just. The Terror, for Badiou, cannot properly be called evil or antithetical to the French Revolution because it was required by fidelity in order to continue the political sequence begun in the Declaration of the Rights of Man. Terror is justified for continuing the sequence and spreading the truth contained within that sequence, created by the sequence. When the sequence requires something new, such as institutions, they must be built. This thought accepts any act of protection and continuation as ethically sound. The range of possible actions is thus unlimited. On these grounds Badiou defends Saint-Just from any criticisms based not only on external ethical principles, but also from any claims of contradiction. As we have said, Badiou claims truth as internal to a political sequence, concluding that any judgments of the actions within that sequence cannot be generated from anywhere outside of the truth process itself. Politics is not objective and not measured by objective principles: the attempt to do soforgets the structure of the political sphere. Further, because militantism–as Badiou names (ethical) political subjectivity–requires the univeralization of the inaugural axiom, the protection and extension of that axiom is the highest political end. Indeed, it is the only political end. Thus Badiou views any claim of contradiction as the importation into a political sequence of another axiom, an implicit principle whose existence Badiou refutes. Fidelity, as the sole prescription, has nothing with which it can contradict. So how does a political sequence end? “[A] political sequence does not terminate or come to an end because of external causes, or contradictions between its essence and its means, but through the strictly immanent effect of its capacities being exhausted” (127). That is, a political sequence terminates as a result of its own nature, not as a failure within its structure. Post-evental fidelity can then carry the truth of the event into the future with no worries of that event having destroyed itself or its meaning. To judge the political sequence in terms of contradiction is to impose post-evental understandings onto the sequence, revising and unduly perforating the singularity of the event. “There is no failure, there is termination: a political sequence begins and comes to an end without being able to gauge the genuine intellectual power that either precedes of follows from it” (127). We modern thinkers may feel compelled to judge Saint-Just and the French Revolution on the basis on Napoleon’s empire, but doing so is assuming that the political sequence could gauge that power. As a truth in toto, the sequence must be judged solely on its own terms. This claim is predicated upon the peculiar temporal nature of the event. First, an event is only recognizable in retrospect. Being unconcerned with the “power that either precedes or follows from it” implies that the political sequence begins without reference to the movements happening around it. To recognize it is to accept its truth, which only comes through a fidelity that implies that the event has already happened. The actors themselves, in declaring an axiom, still must trace out its conclusions in the political sequence to create its truth, and thus they as well cannot know if their event is truly an event. As Badiou tersely says, “the intellectuality in question remains homogenous […]. Let us quote the key synthetic conclusion, which guarantees the distinction between taking-place and having-taken-place allows us to avoid passing through either history or time” (48). We are either in the midst of a possible event (taking-place) or we recognize that a truth procedure has been undertaken (having-taken-place), but are never importing temporal or historical claims, categories, and principles onto the political sequence. Again, this allows Badiou to refute any judgements of contradiction as failures to recognize this a-temporal and a-historical character of politics. To condemn Saint-Just for using means opposed to the end of the French Revolution is to measure him against an objective temporal and historical standard that has no place in politics. Badiou’s failure is to overlook the structure of the politics he posits. This structure implies limits in its own terms that limit its subjects and condemn its criminals. Both Laclau and Mouffe and Honig have taught us this lesson: the paradoxical structure of politics is not avoided in Badiou, but merely masked. The seed of this paradox is found the inaugural axiom and born out in the political sequence as it grows its truth. For an axiom to be maintained and universalized, the sequence that works concretely for universalization must be protected, but the prescription of that axiom must also take precedence. Against Badiou’s will, we can put judgements in terms of contradiction and coherence, not between fidelity and the event, but within the very structure of fidelity. To be truly faithful to an axiom and the sequence it initiates, one must recognize the double imperative within fidelity itself. What it means to be faithful is to both protect the sequence universalizing the axiom while at the same time limiting oneself to the terms implied by that axiom. Positing equality as the foundation of an event, then, requires ‘militants’ to extend that sequence but without ever denying equality as a means of protection. The slaughter of the Terror implicitly denies the the axiomatic prescription “Liberty, Equality, Fraternity.” That is, it collapses the sphere of politics and removes the possibility of political action. Of course, Badiou would reject these claims outright as historical judgements. But Honig showed us that not only is politics paradoxical, but it is a paradox that must be adopted as a whole in the present. The structure elucidated in Emergency Politics _(as well as _Hegemony and Socialist Strategy) does not rest on any historical or temporal notion, but is a fact inherent in the functioning of politics as such. Positing this structure as eternally present is equivalent to claiming it to be a-temporal and a-historical. It is a fact that must be taken up in both the taking-place and having-taken-place of politics as an always-there limit upon political subjects. Coherence and contradiction are thus claims that do not rest upon history and time, but solely upon the facts of the political realm, arising from the axiomatic structure of the political sequence. Coming from within the singularity of an event, these limits prescribe the ethical possibilities to Badiou’s militants. Facing the double imperative of protection/extension and recognition of the axiom’s terms, political subjects must abide by both terms or risk failing the logic of their own politics and destroying a politics from within. Singular and universal, the political sequence still faces limits in the terms of fidelity itself. Politics has an ethics. To be fair, Badiou does concede that much–he simply posits this ethics as something entirely unrestrictive. In his aptly titled book Ethics, he gives further details of his thought: “What I will call, in general, the ‘ethic of a truth’ is the principle that enables the continuation of a truth-process” (Badiou 2001, 44). He re-characterizes this ethic in a paraphrase of Lacan by declaring to the militant: “do not give up on your own seizure by a truth-process” (47). A political ethics thus again consists of an attachment to the political sequence and a continuation of it. But in framing fidelity as a discussion of ethics, Badiou inserts the notion of consistency, claiming that the militant is a “some-one” unequal to the subject of a politics, that his person is “punctured” by the event, and irrevocably altered through the subsequent sequence. In this way, refusing to give way on one’s “seizure by a truth-process” amounts to always recognizing the puncture, and the fact that this puncture has made the militant something more than the some-one he was previously. And yet this some-one must be maintained within the militant. In this light, fidelity involves a recognition of a radical break between the pre-event life of a person and the militant of a politics. So when Badiou claims that “to be faithful to an event is to move within the situation that this event has supplemented, by thinking […] the situation ‘according to’ the event”, we can see that the idea of ‘thinking’ implies a new mode of being (41). Badiou further claims that “all thought is a practice, a putting to the test” and that this fidelity proceeds to “invent a new way of being and acting in the situation” (41, 42). Fidelity, for Badiou, involves puncturing the person and creating a new kind of thought, through the concrete actions of the political sequence. Claiming, as we have seen, this sequence itself as a truth, Badiou implies that any ethical prescriptions must base themselves entirely upon the discrepancy between thoughts before and event the event, recognizing the fact that the person must continue and protect this discrepancy, and maintaining, through an act of consistency, her pre-event person only as a militant. The unrestrictive nature of fidelity that we have critiqued is thus based in the effect of a puncture. But our discussion has shown that Badiou’s failure lies in no recognizing the very structure of that puncture itself. He does not consider any internal structure to an event’s puncture or axiomatic prescription. The evental rupture is founded in a prescriptive axiom–but the structure of the axiom will thus limit the structure of its prescriptions. In causing a puncture, the nature of that puncture is dependent upon, once again, that same structure. A paradoxical double-imperative, Badiou’s politics have housed this structure into a complex concept–they have not escaped it. The ethic of continuation that Badiou prescribes does, in fact, stand. But it imposes itself further than Badiou recognizes with ethical implications whose existence Badiou seeks to deny. Thus, in claiming terror as a protection of the Revolution, Saint-Just forgot half of the paradox that grounded the Revolution (and the puncture it caused) and collapsed the political sequence by destroying its structure. The Terror was not the supreme act of fidelity, but its utter failure. The very terms of the Revolution prescribed a range of actions that Saint-Just forgot as he let loose the guillotine. Saint-Just is a criminal. Moreover, he is a criminal on his own terms. Politics consists, at all points and always in the present, of a paradoxical double imperative that makes up its very structure. This paradox, whether defined by the multitude within a people, the need to close a social that must remain forever open, or the protection of a sequence while respecting its axiomatic prescription and puncture, always defines democratic politics. Generative in its implications, this paradox gives us a specifically political ethics that draws the boundaries of the political sphere and gives us the possibilities of action. A political sequence doesn’t simply terminate–it collapses. Moreover it collapses as a result of concrete failures not of fidelity but within fidelity. Saint-Just is our paramount example. The over-zealous lover smothering his loved-one, watching her every action, forbidding her friendships, denying her ability to work is not faithful, no matter how passionate and singular his love is. Fidelity implies coherence, and coherence fidelity. The two are the sides of the paradox that governs politics, the paradox that Saint-Just cut in the Terror. But cutting the paradox is the destruction of the political sphere–such is the nature of politics. The double imperative must always be respected, the balancing act never forgotten. A failure here is the cause for condemnation.